Click View > Model to show and focus the Model view. 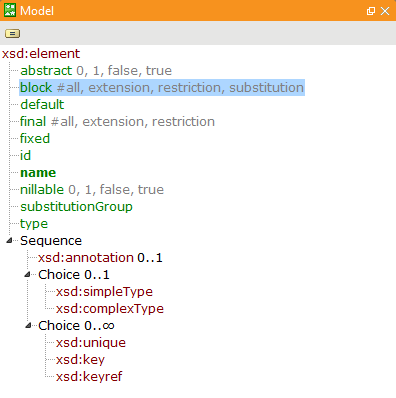 The Model view displays the structure of the current element as defined in the XMLSchema or DTD. Clicking on the icon on the top shows or hides the attributes.